Research in my lab focuses on the evolution and function of anuran communication. Most projects involve sexual selection, and the effect of the social environment (conspecific and heterospecific mates, predators, etc) on the expression of sexual traits. 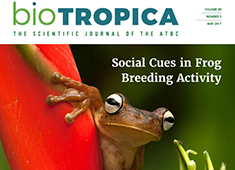 Although most projects deal with sexual communication, we have also studied anuran reproductive ecology and its relationship to biotic and abiotic factors, as well as the importance of acoustic cues for foraging and habitat selection. 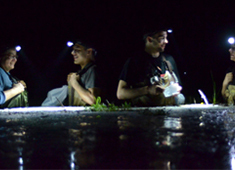 Mostly we study treefrogs, but we have also worked with true frogs, dart-poison frogs, insects, and spiders. 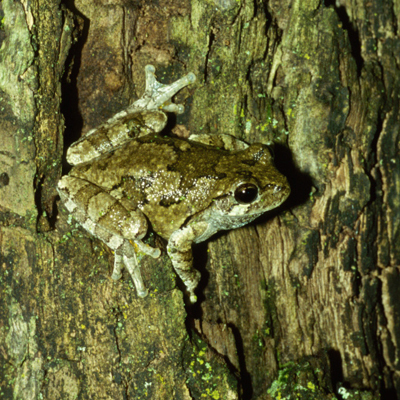 Frogs are considered the epitome of acoustically communicating organisms. 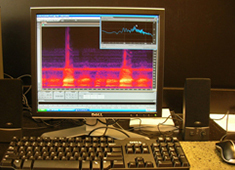 Nevertheless, calling males produce inherently multimodal signals as they inflate and deflate their vocal sacs, such that each call is associated with a default visual and vibrational/waterwave component. We are interested in elucidating the importance of individual and combined signal components for signal perception, signal evolution and mate choice. We are particularly interested in modality interactions and their importance for signal evolution and sexual selection. 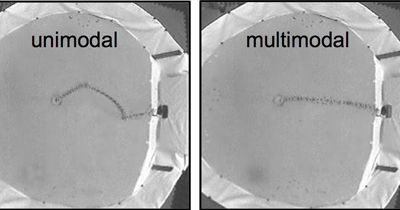 Modality interactions occur when the perception of one signal component is altered by the concurrent presentation of a second signal component. 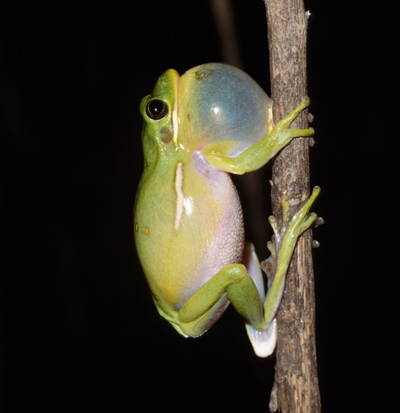 For example, we have recently shown that call preferences of female gray treefrogs, Hyla versicolor, are different depending on whether the call was presented in isolation or combined with a visual stimulus. This is an intriguing finding because it suggests that natural (i.e., moon phase) and anthropogenic (light pollution) changes in environmental conditions that differentially affect the perceptibility of individual signal components have the potential to change selection regimes in nature. Despite their common name, gray treefrogs show exceptional ability to change their body color and can switch from gray to bright green (Example: same frog photographed over course of 1 week). 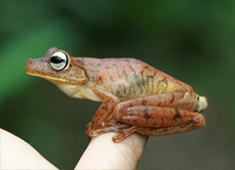 Color change is generally assumed to have evolved in the context of predator avoidance (camouflage), yet because darker frogs absorb more heat (and vice versa), it may also function in thermoregulation. Furthermore, color may play a role in mate choice. 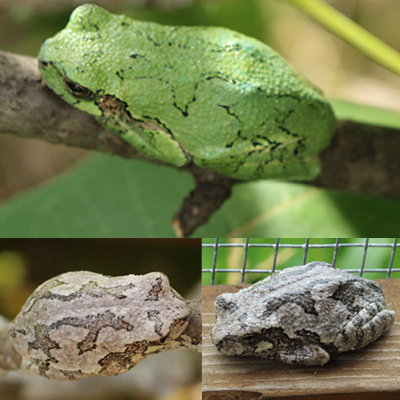 We are examining the visual ecology of gray treefrogs to test whether color change functions primarily for camouflage and thermoregulation or for mate choice (i.e., whether it is primarily under natural or sexual selection). 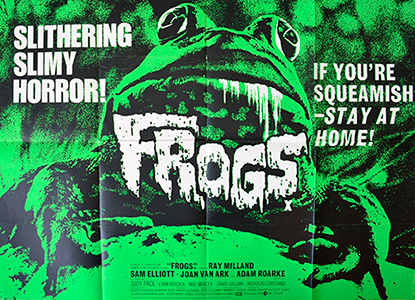 In animals that gather in large aggregations during the mating season, such as frog and insect choruses, competition for mates can be severe. 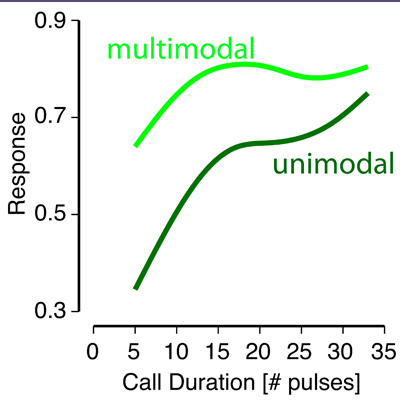 In order to produce a call that is attractive to females, males frequently time their own calls very precisely relative to those of their rivals. We are interested in the mechanisms underlying this phenomenon, its consequences for sexual selection, and whether cross-modal interactions can interfere with call timing behavior. 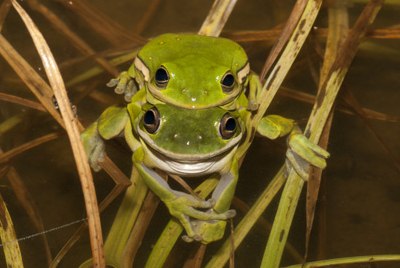 Frog choruses are highly dynamic, and the composition of chorus participants (i.e., potential mates or rivals) can change on a daily or even hourly basis. We are interested in whether males adjust their behavior according to changes in the competitive environment, and whether experience with different chorus environments (variation in species composition, male attractiveness, etc.) modifies female preferences.